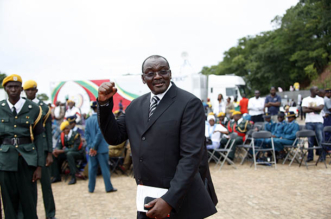 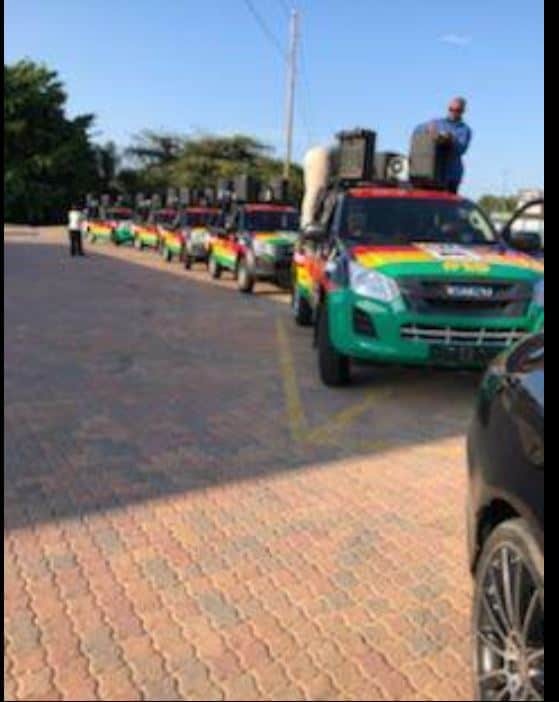 President Emmerson Mnagagwa led Zanu-PF has bought top-of-the-range cars and buses to use ahead of the watershed 2018 elections. 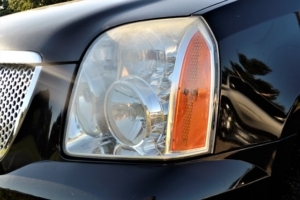 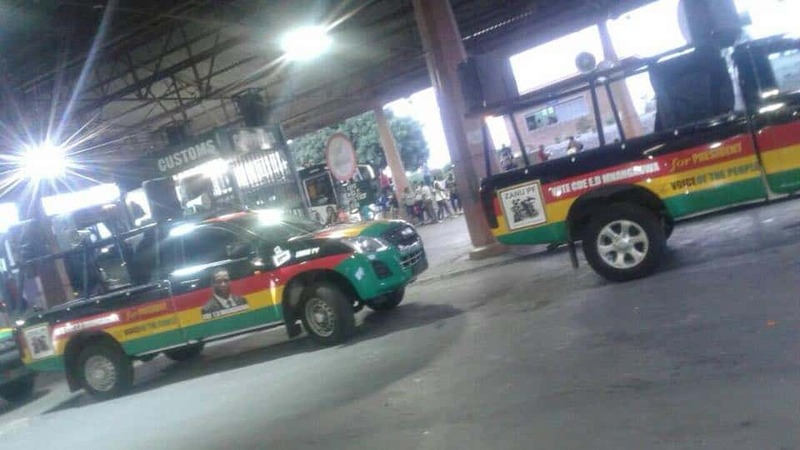 The party did not reveal how the imported vehicles would be used during the campaign. 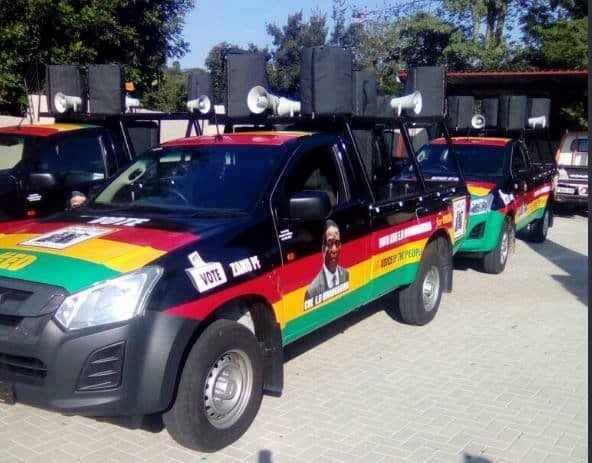 The shiny pick-up trucks donned with party colours and ED Mnangagwa’s face are also fitted with loud speakers and public address systems indicating their intent to literally make noise in the run up to elections. 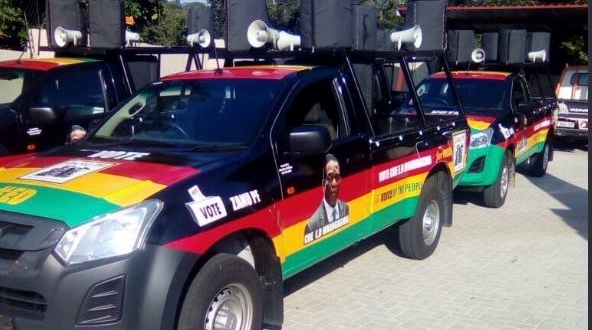 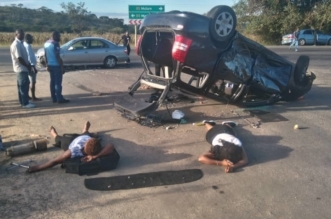 People have expressed concern on how the unelected 75 year-old is spending over $70 million government money on campaign material, tshirts and cars when there are hundreds of broken ambulances littering the country’s major hospitals. 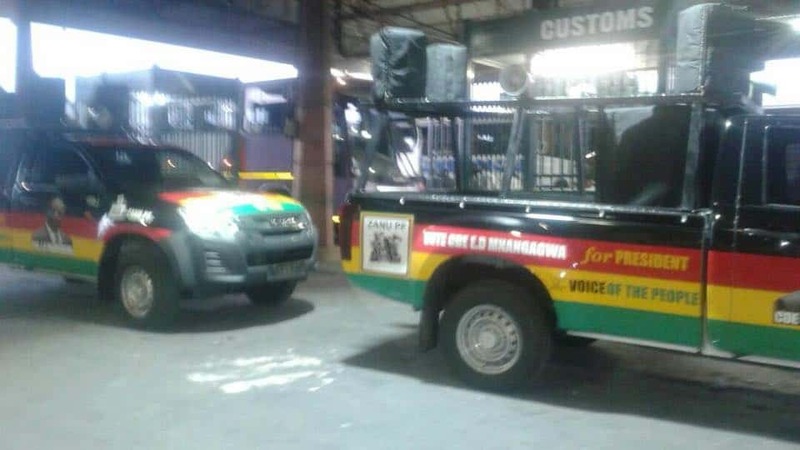 The cars carry the following message: Vote cde ED Mnangagwa for President. 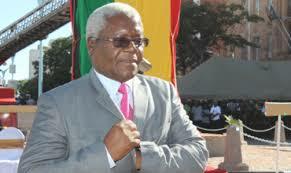 Voice of the people.